Talking Billboards | Digital Billboard Advertising Services in Culver City, California. When it comes to dynamic content or digital signs for your business’ outdoor advertising efforts, Talking Billboards in Culver City, California, can do it all. We help make your billboards do the talk for you. Capture your audience’s attention and achieve stronger retention with expertly crafted indoor advertising signs from Talking Billboards Video Production, Animation, and Graphic Advertising. 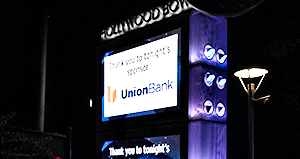 Our company also offers sign rental for live events and performing arts programs like the Hollywood Ball. We are running 10 video boards and can even create unique graphics and original videos. If you want to grab the attention of a niche market with visually pleasing and highly creative content, look to Talking Billboards. Established in 1992, Talking Billboards is the premier outlet in Culver City for innovative billboard advertising and digital marketing services. Our rates are affordable and our creativity, aesthetic and commitment to customer satisfaction makes us a go-to multimedia corporation. We offer everything from digital billboards to video wall displays, a wide range of products all geared to help our clients reach their target audiences in both indoor and outdoor spaces. Our highly creative staff is skilled in the creation of animated menus, video boards, and other methods of signage suitable for car dealerships, churches, casinos, as well as restaurants and malls. All of which are catered to the clients specifications and needs. Talking Billboards is a community oriented business and are proud to be a longtime member of the Culver City Chamber of Commerce. Please browse our site for more information about our advertising content creation for digital billboards and other forms of media, and contact us using the link below. 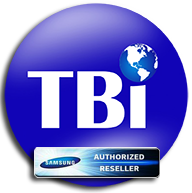 We are looking forward to assisting your business with all of your digital marketing and advertising needs. Grab the attention of your niche market with creative content and graphics flashing on your digital signs. Talking Billboards create content for digital billboards for various businesses. Reach your target audience by featuring relevant content on your video wall displays. Our indoor advertising expertise encompasses video, animation, and graphic design for your advantage. Introduce original and content-driven marketing for your live events and performing arts activities with our help. We create graphics and videos, as well as offer sign rental service. Talking Billboards International - Monday–Friday, 7 a.m.–5 p.m.